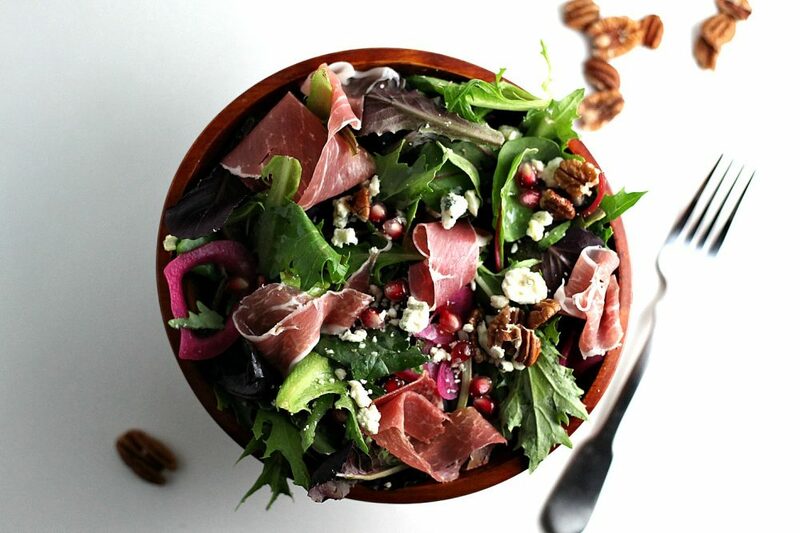 Satisfy your salad craving with seasonal tastes out of the ordinary. This prosciutto salad from Drool-Worthy Daily is one-of-a-kind, with hearty farro, creamy goat cheese, tangy oranges and a fresh rosemary vinaigrette, all of which complement each other perfectly for flavor in every bite. Serve as an incredible salad course for all of your holiday dinner parties or pack in your bag for an out of this world office lunch. Serve this ultimate prosciutto salad with a light, traditional wheat beer or a classic Italian dry white wine to balance the sweetness. In a large mixing bowl, toss together all salad ingredients. (TIP: Add prosciutto just before serving for freshness). Drizzle salad with dressing just before serving. Enjoy!